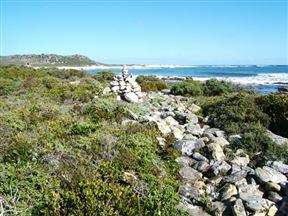 A cairn amoungst the fynbos marks the route to the beach from Olifantsbos. The other option is to hike part of the Sirkelsvlei Walk. 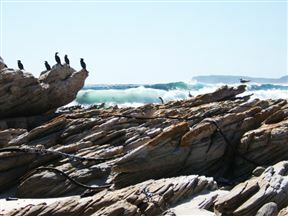 This section has great views, is good for spotting birds and links up with the Shipwreck Trail. 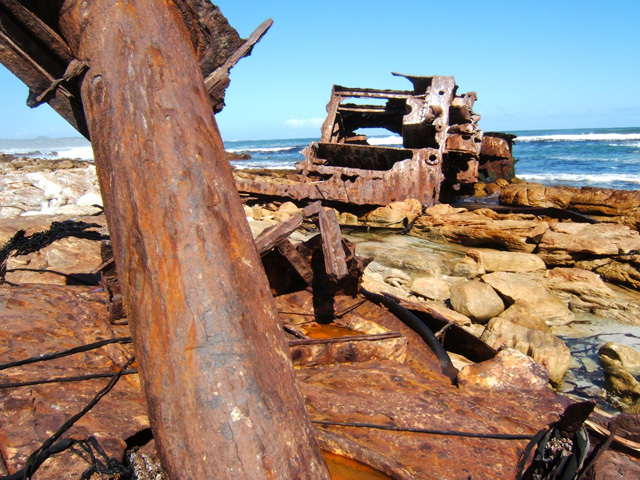 One of the most easily accessible and extensive wrecks is the Thomas T Tucker. It looks a bit like a scrapyard and provides a roosting spot for numerous seabirds to bask in the sun. Thomas T Tucker wreck ran aground in 1942 on her maiden voyage carrying war cargo from the USA. 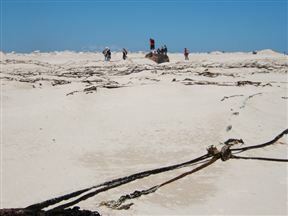 Another wreck is the Nolloth that ran aground in 1965. 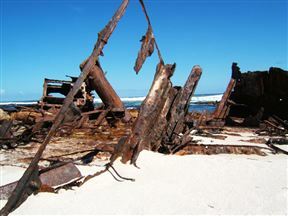 The cargo was reputed to have been a large quantity of liquor! Shipwreck Trail is 15.9km from the centre of Cape Point , the nearest airport 40.2km (Cape Town International Airport).